Taking care of your skin and hair is a topic thick with contradicting facts and complicated terms. Chocolate causes acne. Chips and pizza cause breakouts. “You are what you eat.” It turns out that the food myths that we were told might have some truth to them. Skin and hair are affected by outside factors, but food plays a large role in skin and hair health. Fatty, greasy foods do cause acne breakouts. But what about a food like chocolate, the so-called worst offender? “Moderation is key,” said Jessica Johnson-Todd of Georgia State University’s Nutrition Department. Chocolate is full of fat, which can cause acne, but dark chocolate has a healthy side. Cocoa is rich in antioxidants, so the more cocoa, the better. “Aim for 70 percent or higher cocoa for the most health benefits,” Johnson-Todd said. Foods that are generally thought of as bad for skin are only bad in certain forms, as is the case for chocolate. Dark chocolate also contains iron, vitamins and calcium, which are all needed to maintain healthy skin, hair and nails. Antioxidants, like the ones found in dark chocolate, fight free radicals in the body. Free radicals are molecules the body is exposed to around pollution, smoking, and the sun. Production of free radicals also rises during metabolism and with stress. 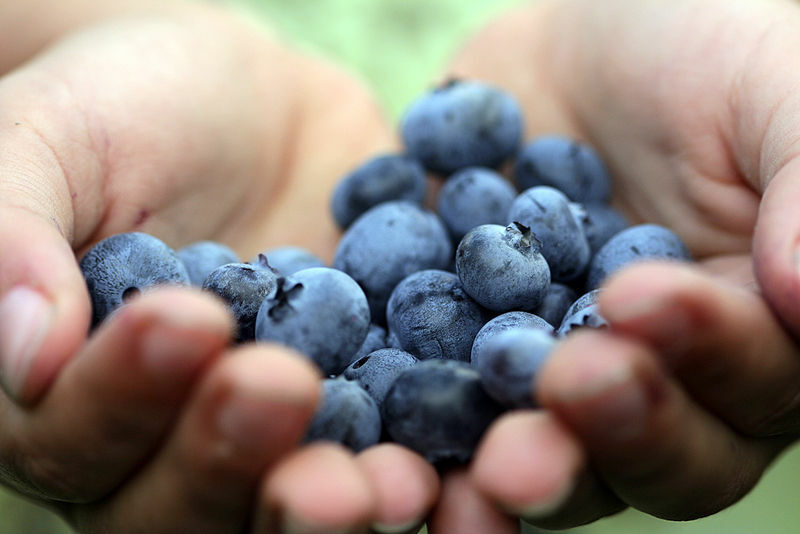 For your skin, antioxidants help reduce the wrinkles and spots caused by free radicals. They are also found in selenium (fruits and veggies), zinc (shellfish, meat, whole grains), copper (seafood, seeds, legumes) and vitamins A, C and E.
Drinking more water is another dietary change that has long-lasting benefits for overall health. “If you’re dehydrated, you’re going to see it,” Johnson-Todd said. Water, which makes up about 60 percent of the body, also plays a huge role in skin’s appearance. H2O helps with the elasticity of the skin and also keeps it toned. Biotin deficiencies can cause skin inflammation and hair loss. Biotin also already appears in a variety of common foods eaten in the United States, so deficiencies are rare. The best ways to get necessary vitamins and minerals into the body are through the foods they are found in, opposed to supplements. Some more essentials for healthy skin are omega-3 and omega-6 fatty acids. These fatty acids stimulate hair and skin growth, so lacking them can cause numerous skin problems. “Science supports a healthy, balanced diet to support the overall health of the body, including the skin and hair,” said Johnson-Todd.